Simplicity at its finest is what I think of the term Monochromatic. Monochromatic is a color theory that only uses one color and its different shades, hues, and tints. One color?? I know some of you readers out there might think that is one crazy theory! While some may argue that a design with one color could be too boring or too pain we have to disagree! Coming from color and pattern gurus like us, we definitely love seeing some tone on tone action! We have seen many ways to do the monochromatic look on the runway. Designers like Chanel and Michael Kors have used this color theory in many recent designs. We love how different hues of a color can create such a high end sophisticated look. Monochromatic can also be done within your home as well. By using either a bold color or neutral color palette this look remains to be intriguing. This design concept definitely has that more modern clean feel that we all have loving lately! 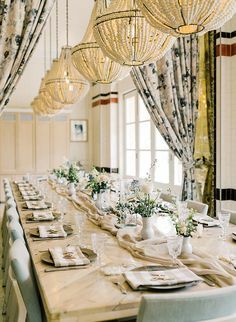 Whether the design is in your wardrobe, a room in your house or the table scape for you next event we are loving seeing all these different views of monochromatic! There are many ways to tackle a monochromatic design. Our Nuovo collection is the perfect place to start! This is a poly-cotton fabric that is spun more like a cotton so it has that upscale feel to it. Our Nuovo Collection has 47 different colors to choose from and comes in 13 different sizes! Due to its matte finish and aray of sizes and colors, this is the perfect collection to layer pieces to create a monochromatic design! Nuovo Champagne is one of our most popular neutral color in this collection. This color looks very luxurious in any design due to its pink undertones. It creates that classic – traditional look while also having a modern twist. It is such a great color to play with when it comes to layering on the table. 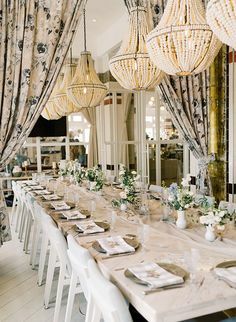 Monochromatic also looks absolutely stunning when playing with whites and ivories. Our Nuovo Ivory is also super popular when creating that clean crisp look. 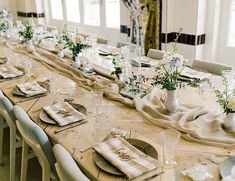 To achieve this look pair our Nuovo Ivory napkin and our Nuovo Ivory table cloth with a white plate and white florals and voila! 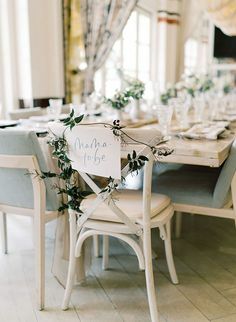 You have created a gorgeous monochromatic table scape! Feeling like you want to be bold with some color? Try our Nouvo Light Blue! While it is a soft pale blue color it definitely will still create that bold monochromatic look. Hues of blues are always so pretty when mixing together and adds some sophistication. There are so many ways to tackle this design look! Whether you want more of a neutral or a bold color; achieving this monochromatic look can be simple. It really can be all about layering this color and playing with the different hues. So pick a color and let that be your inspo! Loooove me a great monochromatic tablescape! The Nuovo Champagne is gorg! !